Google has always been a proponent of clean energy, and solar power has been a central part of our vision. 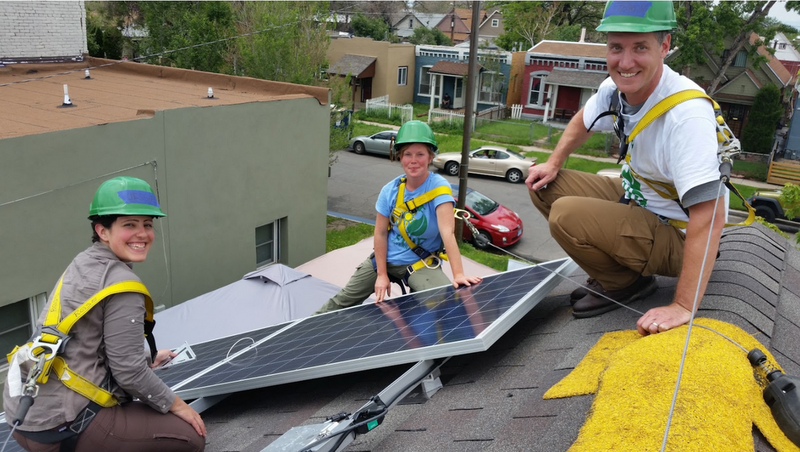 Over the past year, Project Sunroof has been helping homeowners explore whether they should go solar - offering solar estimates for over 43 million houses across 42 states. Solar installations today are growing rapidly, but there remains tremendous untapped potential as only a half a percent of US electricity comes from solar power. 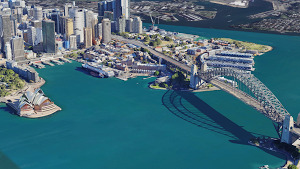 Today we’re excited to be taking Project Sunroof a step further by launching a new data explorer tool to enable solar estimates for entire communities, in addition to individual homes, by leveraging 3D rooftop geometry from Google Earth to estimate the solar potential for millions of rooftops in America. 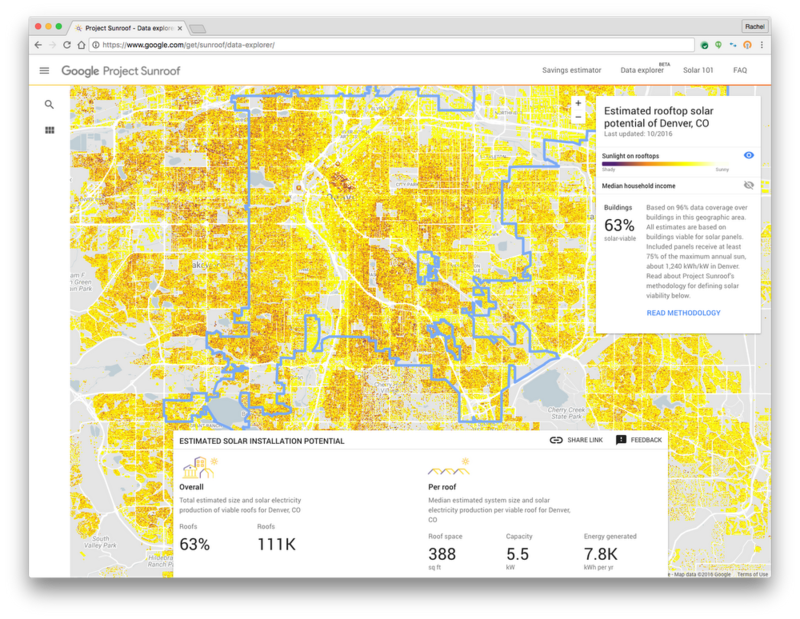 The tool helps communities, cities and municipalities easily visualize how many rooftops are suitable to install solar, how much power they could collectively generate, as well as how much carbon could be displaced by deploying rooftop solar at scale. 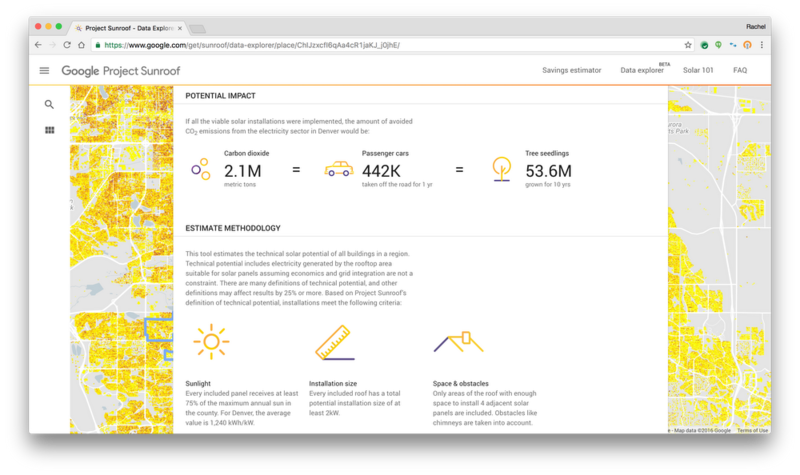 Sunroof’s solar potential reports can also be easily shared amongst community members, researchers and policymakers directly from the the tool itself. Anyone can use this tool for free, by simply entering in a state, county, city, or zip code to receive a custom analysis. 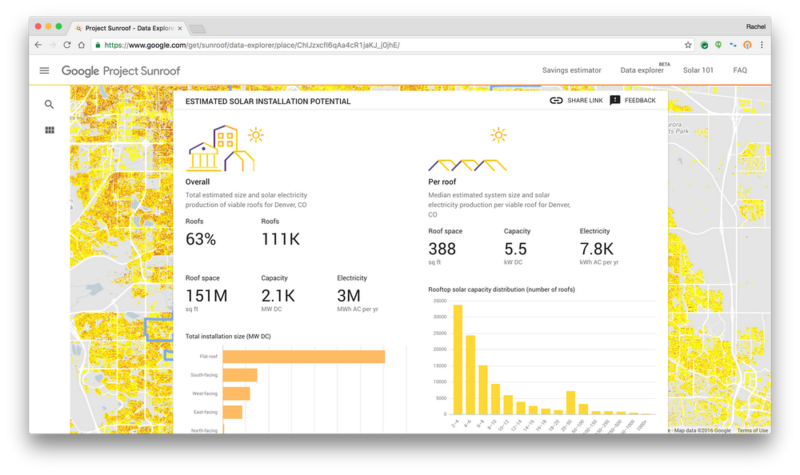 The release of the data explorer tool marks another milestone across the Project Sunroof initiative where the use of Google’s high quality information has the potential to accelerate the growth of solar by capturing the public imagination, and helping communities make smarter decisions in their transition to cleaner power sources.